A few weeks ago, Rolling Stone released the top 10 albums of the 1990s picked by their readers, which got me to thinking, what were the essential albums of the 1990s? I have well over 600 CDs with probably half of them falling in the 90s decade. Now, I was only four-years-old when the clock struck midnight into 1990 but I had two older sisters and parents that listened to music non-stop. I was pretty much the only kid I knew at 6 or 7-years-old listening to Nirvana, Pearl Jam, Guns N’ Roses, etc. Some rules and regulations here: Multiple bands and artists released several great albums in the 1990s but I’m only letting an artist appear once on the list. And before anyone says, “Where is Radiohead on this list?” The simple answer is, I never really got into Radiohead, but I respect them as a band and musicians and what they’ve done for music. So if you feel it necessary, plug them in in the R section. Also, you'll see on that Rolling Stone Reader's List that two Smashing Pumpkins' albums are included. I have both of those albums, but never really was a big fan of either one. Mellon Collie and the Infinite Sadness could have been a great album had it been condensed down to one disc but it suffers from what most other two-disc albums suffer from, which is, a lot of filler. With that said, we'll lead this list off with...a two-disc album. Go figure. In case you were wondering, I wrote this blog in 2009 regarding my favorite albums of the 2000s. Some surprises in this weekend's Top 10 movies. "Gnomeo & Juliet" moved up from last week's No. 3 spot to No. 1. After a week out of the top 10, "True Grit" returns at No. 10. What's not a surprise with this week's list is the staying power of the Biebs (he must have those 'tween girls returning for fourth and fifth viewings of "Never Say Never"), and of course "The King's Speech," which might nearly sweep the top awards at tonight's Oscars. Preview the show here, and read Entertainment Editor Mark Meszoros' commentary here. 8. “Big Mommas: Like Father, Like Son,” $7.6 million. 9. “Drive Angry,” $5.1 million. * In case you missed it, Entertainment Editor Mark Meszoros, Sports Editor Mark Podolski and yours truly did about a 30-minute audiocast Tuesday afternoon regarding this upcoming Sunday's telecast of the Oscars. You can ignore it here. In addition, you can also continue to wonder why I keep using the word "telecast." *The Foo Fighters released their first single off their upcoming seventh studio album, Wasting Light, called “Rope.” Although a big Foo fan, I have low expectations for this album but was rather delighted by the debut single. It’s a mixture between their debut record and 1999s There’s Nothing Left to Lose. You can hear it here. * Speaking of the Grammys, I was so impressed with the Mumford & Sons performance of "The Cave," that I ran out (OK, drove) to the store and bought their debut record, Sigh No More. It's incredible. * Bright Eyes performed on the Late Show with David Letterman Thursday night. You can see the performance here. * I got a wonderful surprise on Tuesday when my favorite band Brand New came out from under their rock for the first time in over a year and surprisingly announced five small club shows. All the shows sold out within 20 minutes and although it was a serious hassle, I was able to get two tickets for the Pittsburgh show and couldn't be more jacked up about it. This will mark the fourth time I see them live and the second time I'll be traveling out of state to do so. In November of 2009, I drove to New York City for their show at Nassau Coliseum, which was in front of 18,000 people. The Pittsburgh show will be in front of 200 people (if that). Nothing beats a small intimate club show. * You can believe this or not, I don't, but Spin Magazine did an interview with the Red Hot Chili Peppers where the band told the interviewer that their upcoming album could be titled Dr. Johnny Skinz's Disproportionately Rambunctious Polar Express Machine-head. * Lastly, I said I’d post it this week, and it is done, but early next week, I’ll post a list of, in my opinion, the essential albums of the 1990s after reading a Rolling Stone reader list of the top 10 albums of the 1990s. It will not be epic, nor worthy of your time reading it...but nonetheless, it will be posted. P.S. Go out and buy the new Bayside record, Killing Time. First things first, I absolutely hate the fact that the Academy Awards expanded the best picture nominations to 10 movies instead of five. I mean, c’mon, Toy Story 3? I doubt it gets one vote. And Winter’s Bone? Don’t get me started. I still haven’t seen True Grit, however I can promise you this: no matter how much I like or dislike that movie, it won’t change who I THINK will win, rather than who I’d like to see win. I don’t know why I haven’t seen True Grit yet. I love the Coen Brothers, own and enjoy at least nine of their movies and like Matt Damon and Jeff Bridges. It got great reviews but there is something about it that I just can’t bring myself to see it or get excited about seeing it. I will eventually, but not before the Oscars. Anyway, If this were 2009, or any of the previous 72 years in the show’s history (2010 was first year they changed it to 10 movies nominated), we would have seen five nominations for best film. If that were the case, I’m betting the nominees would have looked like this: The King’s Speech, The Social Network, The Fighter, Black Swan and 127 Hours. Again, Haven’t seen True Grit, but find it hard to believe they’d sneak a remake in over those five features. 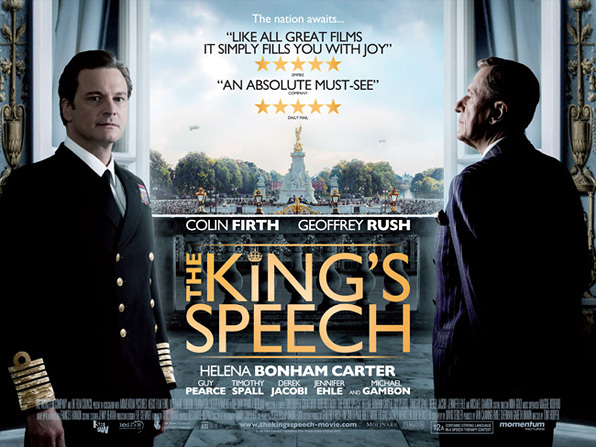 Who I think will win: The King’s Speech has become the front-runner, it’s well acted, a timely piece and it’s based on a true story. I think it’s 70/30 King’s Speech to Social Network, however there is a small chance, and I stress the word small, that the voters will split on The King’s Speech and The Social Network and all of a sudden you get some third party who slightly edges out the both of them, like 127 Hours or Black Swan. But that’s doubtful. Who I would like to see win: Well, Inception was my favorite movie in 2010 but it doesn’t stand a chance. My personal ranking out of these movies: 1.) Inception 2.) The Social Network 3.) The Fighter 4.) Black Swan 5.) The King’s Speech 6.) 127 Hours. 7.) The Kids Are All Right (There are movies I enjoyed more than a lot of the ones nominated, i.e. Blue Valentine, which is a crime for not being nominated over 127 Hours, Winters Bone or Toy Story 3.) I’m in the minority when I say this, but I’m absolutely indifferent to animated films. I just don’t care about them, no offense. You may notice I didn’t mention anything about Winter’s Bone and it’s solely because I didn’t enjoy one ounce of the movie which could have to do with me having the volume on my TV the highest it would go and still having trouble hearing what was going on. Who I think will win: Colin Firth and it won’t even be close. Who I would like to see win: Ryan Gosling...oh, wait. Honestly, I’m not shocked Gosling didn’t get nominated, despite nabbing a Golden Globe nomination for his role in Blue Valentine but it does shock me that Javier Bardem got nominated for Biutiful (which I do want to see). It shocks me for many reasons one being, he wasn’t nominated for a Golden Globe or SAG award, which normally won’t bode well and according to Entertainment Weekly, Bardem is the first actor ever to be nominated for Best Actor for his portrayal in an all Spanish speaking film. I figured if Michelle Williams got nominated for Best Actress (which she did) then I thought Gosling would be nominated too, since their performances play so well off each other as a failing married couple. Other than Franco in 127 Hours, I don’t think Bardem, Bridges or Eisenberg stand any chance whatsoever. Was Eisenberg good in The Social Network? Yeah, but his acting chops in this film don’t stray too far away from his other films, a nerdy, quick-witted, loner (Aventureland, Zombieland, The Squid and the Whale). But this is Firth’s category to lose. Who I want to win: Since I enjoyed Blue Valentine so much, I’d like to see Williams get it, but really, I’m not going to lose any sleep no matter who wins. Who I think will win: I did think Christian Bale was a lock, but now I’m not quite sure with all this love affair going on with The King’s Speech. Geoffrey Rush could steal it from Bale, but if I had to bet, I’d still go with Bale. Who I’d like to see win: I thought Jeremy Renner was incredible in the The Town, but those types of films don’t normally win awards and considering that’s the only nomination The Town got, he doesn’t stand a chance. I thought Ruffalo was great in The Kids Are All Right, and actually, he was the main reason I enjoyed that film however, I've always like Ruffalo. But I love Bale’s body of work and thought he did a terrific job in The Fighter, so I would like to see him win. Who I think will win: Melissa Leo seems like a lock to me as well, but again, don’t underestimate any category that has someone nominated from The King’s Speech (Helena Bonham Carter). Who I think will win: I have no idea. I think this category is still pretty wide open although I’m betting David Fincher is the front-runner. This may be an award decided on the director’s whole body of work, rather than their recent films considering three of these directors have very, very impressive resumes. Darren Aronofsky (Black Swan, The Wrestler, Requiem For A Dream, The Fountain and Pi), The Coen Brothers (True Grit, No Country For Old Men, Fargo, The Big Lebowski) and Fincher (The Social Network, Seven, Fight Club, Curious Case of Benjamin Button, Zodiac. P.S. Christopher Nolan not being nominated in this category is asinine. Who I'd like to see win: I guess I'll go with Fincher here simply for the fact I don't want to see The Social Network walk away empty handed from any of the night's top awards. First off, before I hear any "Dude, it's almost March of 2011," I realize that. I waited to post my top 10 list for two main reasons. One, I wanted to post it just prior to the Oscars, which are this Sunday. The other reason being is, many of the Oscar films that are officially released in 2010, don't expand to theaters in the Cleveland area until mid-January, so it took a little time to catch up on everything. So, sue me. The following, in my opinion of course, are the top 10 movies of the year. I wasn't blown away by many of them except a small few and certainly, many of the bottom half of this list could really be in any order. *Normally you wouldn’t find a guy on screen by himself for 90 minutes or so to be too exciting, but James Franco delivers his best performance in his young career depicting the true story of an adventure gone horribly wrong. *I’m a sucker for first quarter movies that come out and are a bit off-kiltered and just plain different from everything else being released. This one about superheros who possess absolutely no superhero powers. It’s one of those movies where it’s both funny and has a very good storyline. *Honestly, it’s one of the most predictable movies I’ve ever seen (so much so, that I predicted the ending back when I saw the previews long before I saw the movie) but it’s you can't go wrong with a Martin Scorsese/Leonardo DiCaprio teamed movie and for what it's worth, it's still a good thriller. *Probably the best all-around well-acted movie that was released in 2010 with a phenomenal lead performance from Colin Firth, who will run away with the Oscar this year, just as he should of last year with his performance in A Single Man. *A very disturbing psychological thriller that leaves you questioning everything once you leave the theater. And for me, you can’t ask for anything more than that. *Another all-around well-acted movie where Christian Bale will most likely run away with best supporting actor. *One of the most critically acclaimed movies of the year was also one of the most entertaining films as well, which is a rarity (The King's Speech is great, but I wouldn't call it wildly entertaining.) Well-acted, well-directed, the dialogue is top notch and the content is extremely relevant considering how popular Facebook is. *A suspenseful, action-packed film with a surprisingly good acting performance from Ben Affleck and another solid directed movie from him as well (he directed Gone Baby Gone as well). Jeremy Renner however steals the show. *A very emotional, realistic portrayal of a married couple on the rocks (to put it nicely) with tremendous lead performances from Ryan Gosling and Michelle Williams. I wrestled with putting this in the No. 1 slot as I saw this twice in the theater and will surely be buying it the first day it comes out on DVD. *Another film I saw twice in the theaters and again on dvd. I've been saying it for years, Christopher Nolan, at age 40, is the best director of his generation. Going off what I said about Black Swan, this movie sparked more discussions and debates than any other film released in 2010. What was real and what wasn’t? The greatest thing about it is, we’ll literally never know. But it won’t stop people from arguing their theories. Christopher Nolan is a master at creating these discussions. We all know popular music has changed a lot over the years. (understatement, much?) But have you ever really analyzed the changes--five seconds at a time? The mash up is broken into two parts, totaling an hour and a half of musical nostalgia. I haven't listened to the whole thing yet, but it makes a fascinating study in pop culture. P.S. Have you seen this girl cover "Born This Way" yet? If not, you should check her out. The girl's got talent. but I know, I know I asked for this myself. If anyone is wondering how Anthony Raneri, lead singer of Bayside, is doing following his recent divorce, well, perhaps the above lyrics should give you a better idea. Following a two and a half year absence, Bayside — who from 2004-2008 released four studio albums, a live album and an compilation acoustic record/DVD — are back on the scene with their fifth studio album — and major label debut — Killing Time, in stores Tuesday. 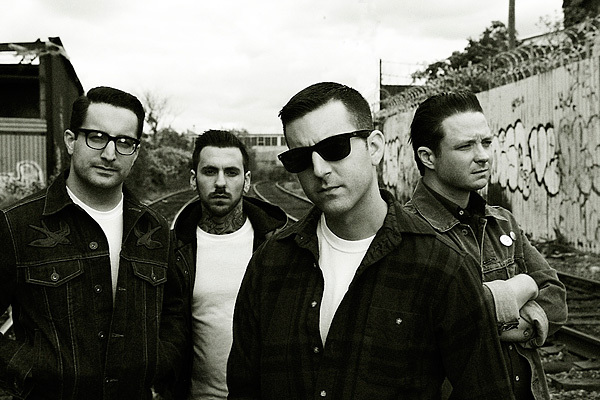 Bayside has been killing time making Killing Time, which marks the longest period they’ve gone — two and a half years — without releasing any sort of material. And if it ain’t broke, don’t try to fix it. 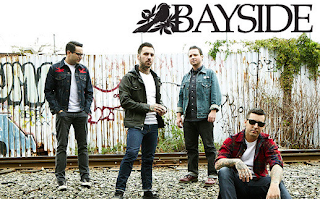 Bayside isn’t one to change things up with their punk/aggressive alternative rock roots combined with strong, damaging guitar riffs and Raneri’s Kermit The Frog-like, ill-timed vocals which work again masterfully on Killing Time. Over their five releases, they’ve remained perhaps the most consistent band I’ve listened to in the past decade. I’m all for bands growing musically or maturing, but Bayside has been able to improve with each album but not abandoned their signature sound whatsoever, they just keep fine-tuning it. Since the band got into a horrific car accident in 2005, which resulted in the death of their drummer — John “Beatz” Holohan — Bayside made a conscious effort to release music looking at the bright side of life. Getting up after getting knocked down, staying true to yourself and being proud of who you are no matter what the situation is are some common themes found on 2007s The Walking Wounded and 2008s Shudder. Raneri is always wary too about “selling-out” with a plethora of songs dedicated to making the music HE and his band want to make. Not following trends, not being pressured by pop radio stations and not giving into demands of record labels. But excuse Raneri if he sounds pretty angry on Killing Time following the “devil in a dress” making him “sick, sick, sick” as the album’s lead single suggests following his divorce. For all intents and purposes, positivity has been thrown out the window throughout the first portion of the album, which include the hard-hitting opening track, “Already Gone,” which was released over four months ago. “By all means I’m getting mad” - Raneri says over the song’s breakdown. The third cut, “Mona Lisa,” has the most key changes of any other Bayside song, or any other song I’ve heard from any band now that I think of it. “On Love, On Life” is the closest song Bayside has ever had to a ballad, as Raneri sings softly over a piano and an acoustic guitar. While I wouldn’t call this best record the band has done, it is easily their best produced. And that’s thanks to producer Gil Norton, who is best known for producing records for Foo Fighters, The Strokes and Jimmy Eat World. It’s their biggest sounding album yet, its most polished and its most poppy with a lot of group vocals from the entire band appearing on many of the tracks. Bayside is a cult. That’s their motto. It wasn’t coined by them, but rather their fans. They have an extremely loyal following that has kept them successful in the underground and releasing Killing Time on Wind-Up records should get the band more mainstream exposure. With everything they have been through, they really deserve it and although I have never met them (outside of Raneri answering a few of my questions through various online communication forums - which further cements the fact that I am, indeed, a loser) they seem very humble and proud of their careers and after a fatal car accident six years ago, they’re probably just glad to be breathing. They’re still waiting for their major breakthrough moment to come, and this could be it. Still looking for LOST answers? Just over a year ago, the final season of "Lost" started messing with our minds. If you're still confused about what actually happened in the six years we spent on the island, make your way over to L O S T Answers, where a blogger who identifies himself only as "A Scientist" resolves the lingering issues you have with the show. The search box seems to be broken because looking for the terms "Walt," "Faraday" and "Jack" gave me no answers*. But if you're a diehard Lostie, you're probably going to want to read through the entire blog archives and subscribe to the RSS feed anyway. When I get around to rewatching the series, I'm sure I'll be referencing this site and maybe even submitting my own questions (by clicking Ask Together, Answer Alone). This guy won't have all the answers, but, well, neither does "Lost." *If you want to find something specific and the search isn't working for you, go to Google, type the term you want to find, then site:http://lostanswers.tumblr.com/ (example: jack locke sawyer site:http://lostanswers.tumblr.com/). Doing this will force Google to search ONLY that website. 5. “Big Mommas: Like Father, Like Son,” $17 million. 8. “The Roommate,” $4.1 million. I don't really have much to say here this week other than I already started four entertainment blogs that will appear next week. One will be a review of the new Bayside album, Killing Time. Another will focus on the essential albums of the 1990s and then two will be on movies. The top 10 movies of 2010 (I realize it's almost March, but I was saving it for around Oscars time) and then another Oscar preview blog. I now realize the anticipation for those blogs will decrease the amount of sleep you get this weekend and they certainly won't live up to the low expectations you have set for them. Not much music news for me here either other than the fact Panic! at the Disco's Vices and Virtues album got a bump in its release date. Instead of the original March 29 release, it'll now be released on March 22 due to "popular demand." Oh, and Britney Spears released a new video for "Hold It Against Me." I didn't care about Spears in 1999 and I don't care about her today. MTV, the alleged music station, has been promoting the video for weeks now. How ironic. Also, News-Herald Entertainment Editor Mark Meszoros and I will be doing a podcast about the Oscars sometime next week. If we get half the listeners for that as we do for this blog (4) then we'll consider it a success. Meszoros' power here at the paper has already gone to his head as he told me to only speak when spoken to during the podcast and to consistently say things like "yes sir," "good point" and "I'm sorry, you're right. I should have thought about that." P.S. Go buy the new Bright Eyes, The People's Key, album. Support music. As someone who reads tech blogs and listens to tech podcasts -- and with a girlfriend who watches "Jeopardy!" 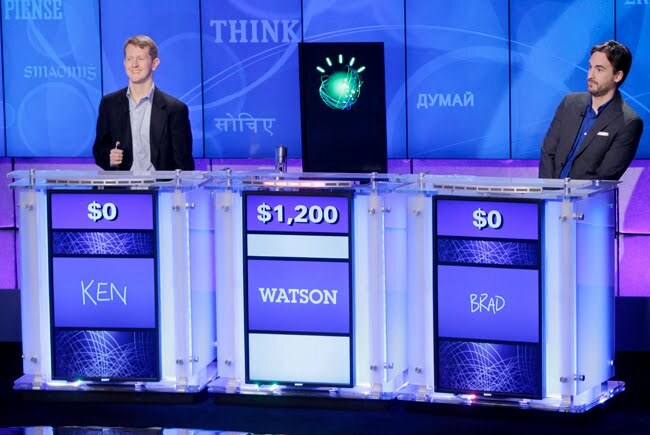 daily -- I was aware that Monday night would bring the first of three episodes of the popular quiz show in which two past champs would take on IBM's new supercomputer, Watson. I had a passing curiosity, but I wasn't exactly counting down the days. I figured with all the information that could be packed into, say, an iPhone, jamming enough knowledge to beat two of the game's best into a supercomputer with multiple servers and cooling systems wouldn't be too hard for the braniacs at IBM. But watching Monday night I was reminded of just how trickily "Jeopardy!" questions -- or answers, if you prefer -- can be phrased. Ken Jennings, Watson, and Brad Rutter. Watching Watson (well, his avatar anyway) parse the keywords, come up with three ranked answers and then either buzz in or not with its top guess was truly fascinating to watch. Strangely, his performance in Monday's first round reminded me most of a poker player who gets hot -- Watson jumped out to a lead quickly -- before going on tilt -- the computer gave several incorrect answers in a later stretch. Those who want to know more about Watson can go here. You might also want to visit the official "Jeopardy!" site. It was good television. Skipping the next two shows? That does not compute. 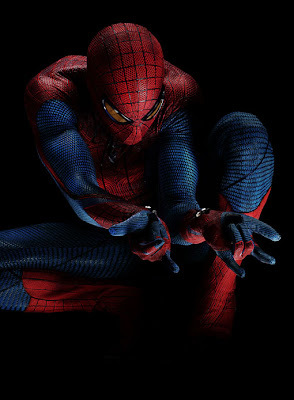 The latest installment and now reboot of the Spider-Man franchise is going old school. With its title, that is. 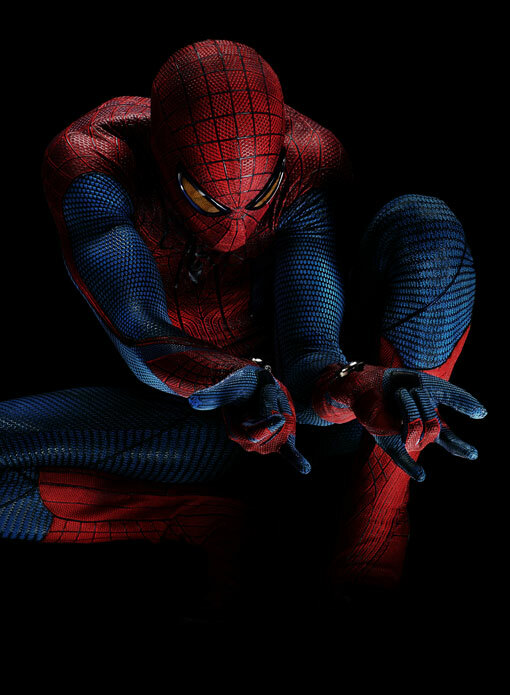 Sony Pictures announced the film, starring Andrew Garfield (The Social Network) as Peter Parker and Spidey, will be titled, "The Amazing Spider-Man." Fans of the comic book are well aware of that title as Stan Lee used that moniker when he introduced the Marvel super hero in 1963 in his comic book. Sony Pictures also released a photo of Garfield in full costume. Check it out. On the same day Bright Eyes released their eighth studio album, The People’s Key - released today - lead singer Conor Oberst turned 31-years-old. At just the ripe age of 31, Oberst has already accomplished what many musicians dream of. He’s shared the stage and has rocked out with Bruce Springsteen and Neil Young, he was named songwriter of the year in 2008 by Rolling Stone Magazine and Spin Magazine went a step further calling him the “most devastating songwriter of his generation” as well as “Their Generation’s Bob Dylan.” He is clearly well-respected. Oberst/Bright Eyes is an acquired taste. Throughout the years Bright Eyes music, as well as Obert’s solo material, has transformed from indie rock (Fevers & Mirrors and Lifted) to folk-rock (I’m Wide Awake, It’s Morning), to experimental (Digital Ash in a Digital Urn) to pretty much straight up country (Cassadaga) all leading up to Tuesday’s release of The People’s Key, the band’s first in almost four years, which is kind of a mixed bag. Only a 10-song album, it’s easily their best since 2005s I’m Wide Awake, however doesn’t top it, nor does it hover over Fevers or Lifted and at this point of their career, I doubt anything ever will. Key is a much more spirited and impressive effort than Digital and Cassadaga with more replay power than those two albums offered. Digital was too electronical and Cassadaga, while good, was too country for me. 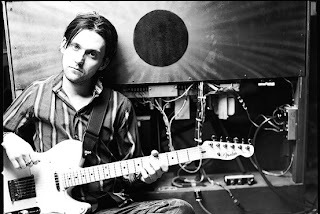 The lead track and closer, “Firewall” and “One For You, One For Me” respectively, are a bit drawn out and “Firewall” is ruined by a two-minute opening speech (which almost all Bright Eyes’ albums open with) and a pretty weak breakdown near the six-minute mark. If it were just the three minute track of Oberst's soft vocals on top of the quiet guitar rift, I'd suspect it'd be one of the better tracks on the album. “One For You, One For Me,” sounds like it could have been placed on Digital, I don’t care too much for it, but I think I’m in the minority on that one as plenty of kids on the interweb seem to be flocking toward that tune. If you’re not a fan of Bright Eyes, I doubt there is anything released on this album that would change your stance on Oberst and the boys because as I mentioned in the beginning, Oberst/Bright Eyes is an acquired taste. If you can put up with his shaky, pitchy voice, it’s another fine album in Oberst’s catalogue. I believe a certain someone told you that the Grammy award for Album of the Year would have gone to either Arcade Fire or Lady Antebellum. However, I must admit, while watching the show, and watching Lady Antebellum pick up awards for Record of the Year and Song of the Year, which essentially is the same award repeated, I thought it was a lock they would have gone home with the top award. Not to mention, Arcade Fire didn’t even beat out the Black Keys for alternative rock album, so how they lost that award, but won album of the year, is truly mind-boggling. The night’s biggest surprise is when the Spalding basketball won best new artist, which I never for a minute thought it’d go to Justin Bieber, but rather either Mumford and Sons or Florence and the Machine. Speaking of Mumford and Sons, I thought they had the best performance of the night when they performed “The Cave” (which I erroneously reported as "Little Lion Man" previously.) I was also very impressed with the performances of B.o.B, Bruno Mars and Janelle Monae, which had a very 1950s vibe. I was somewhat disappointed with Eminem’s performance, which I was looking forward to the most. First off, the guy didn’t even perform anything off Recovery, which was nominated for 10 grammys. Instead, he performed “Love the Way You Lie Part II,” which is actually off Rihanna’s Loud album. He then went into “I need a Doctor” which is on the upcoming Detox album from Dr. Dre (Which has been “upcoming” for the past 10 years). “I Need A Doctor” was a much better performance as there was some microphone issues with Em’s verse on “Love the Way You Lie Part II.” You couldn’t even hear him for the first few seconds. The rest of the three and a half hour telecast was extremely nauseating. While I completely couldn’t stomach the performance of Justin Bieber, Usher and Jaden Smith, I did think it was somewhat cool after the performance when they showed Jaden’s dad, Will Smith (perhaps you’ve heard of him?) yelling “that’s my baby” over and over. All in all, if you were one of the lucky ones to have missed the grammys Sunday night, I envy you. I’m not sure which is more embarrassing, the fact I watched the grammys from start to finish, or the fact I sat there with my computer tweeting about it dozens of times. But hey, I had to keep myself entertained somehow. Katy Perry, Lady Gaga and that Spalding ball sure didn’t. Who can beat the Biebs? Apparently a romantic comedy starring actors who play themselves can beat the Biebs. The only reason I can figure for this happening is the moms who took the screaming girls to see the Biebs needed a night for themselves at the movies afterward. 5. “The Roommate,” $8.4 million. My wife and I saw "The King's Speech" on Saturday night. To say the least, it was an emotional moviegoing experience. If you don't know the film's plot, it's the true story of King George VI's stuttering problem while trying to inspire the United Kingdom at the dawn of World War II. I'm actually a bit soft when grading movies, but my top 10 list is iron-clad. To join my top 10 club of the likes of "Rocky," "Jaws," "Raiders of the Lost Ark," "King Kong (1933)" and "The Shawshank Redemption," that film had better deliver in several categories. This one does, and now another must be bumped as my top 10 all-time movie list has a new member. The film, headlined by the breathtaking performances of Colin Firth and Geoffrey Rush, is what moviegong is all about, but for me, it hits home. As a child, I was a stutterer. Firth's portrayal of King George VI was riveting, but not just because he had the act of stuttering down pat. As all stutterers will attest, it's not the act of a stammer that paralyzes you in the figurative sense. It's the frustration of knowing the ability to pronounce words without a hitch is inside of you, but your body and mind won't allow them to flow off your lips. It's knowing people are staring at you. It's wondering what people are thinking. It's your self confidence taking a hit each time you stammer through a word. Firth's performance illustrates those frustrations and fears. I cringed during the film's opening scene in which the main character struggles immensely during a ceremony at Wembley Stadium. I eventually beat my impediment - it was a mild case. Nonetheless, the sense of accomplishment helped me grow as a person. It creeps back on occasion if I'm not careful. My wife, friends and family might not catch it, but I certainly do and I'm embarrassed when it happens. It scares the heck out of me, forcing me to concentrate and relax. Unfortunately, some never overcome stuttering. Hopefully, watching "The King's Speech" helps and inspires those people. Still, the film isn't solely about stuttering. It's about self confidence and overcoming personal fears. For me, "The King's Speech" is right up there with the likes of "Rocky" and "Rudy" as one of the most inspirational movies of all time, and I'll be rooting hard for it to win all the Oscars it can in a few weeks. If that happens, it will be a special night for all stutterers, past and present. Well I already covered the garbage that super bowl officials called a half-time show on Monday and on Wednesday I wrote about the upcoming bummy Grammys. * If the Black Eyed Peas and Christina Aguilera didn’t annoy the hell out of you enough on Sunday, in theaters tomorrow is Justin Bieber’s Never Say Never, which is some sort of movie, I guess. Hey Bieber, don’t tell me to never say never because I am Never going to see your movie. Never. The Foo Fighters will release their currently untitled seventh studio album on April 12; That same day, Atmosphere will release, Family Sign, which will be the duo’s sixth album; Silverstein will release their fifth album, Rescue, on April 26; Royce Da 5’9” will release his fifth solo album, Success is Certain, on April 26 and Manchester Orchestra will release their third album, Simple Math, on May 10. There are plenty of releases that are coming out before then that I’m excited for as well including albums from Bright Eyes (2-15), Bayside (2-22), Lupe Fiasco (3-8), Yellowcard (3-22), Panic! at the Disco (3-29), Sum 41 (3-29) and Thursday (4-12). * Music videos, remember those? Two decent ones were released in the last week. The first is from Nas and Damian Marley, which is “Patience,” released Monday from last year’s Distant Relatives album. It can be seen here. The second is “The Ballad of Mona Lisa” from Panic! at the Disco, which is their first single off of Vices and Virtues, due out March 29. I distinctly remember going to parties in college and finding myself sitting with my then-boyfriend and watching as his music major friends jammed out to "Sweet Child of Mine" on the ultra-popular video game Guitar Hero. 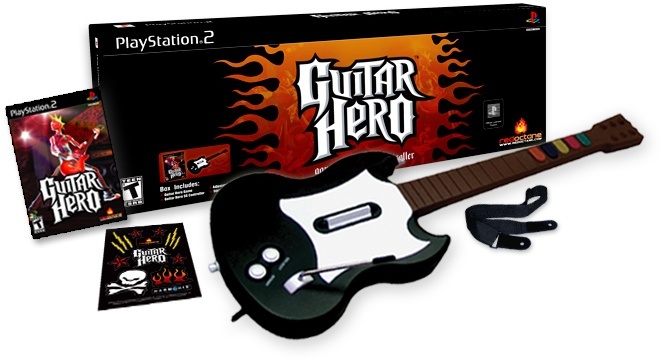 Now, I am sad to say, such fun may not be had by wannabe-musician-dating college co-eds in the future, as Activision Blizzard Inc, makers of Guitar Hero, announced it will stop publishing the game this year. Say it isn't so! It seems like everybody plays Guitar Hero or Rock Band these days. I am sad to see a video game disappear that could inspire people to take up an instrument. Or, if not inspired to learn how to play guitar, at least inspired to check out the classic rock that is often featured on these games. Excuse me if I’m not rushing the work on my unfinished time machine so I can fast forward to Sunday night’s always dreadful and always boring, Grammys telecast. Just when I thought the Grammys couldn’t get any worse, I have to stomach Katy Perry’s name even being mentioned in the same breath as album of the year. For the third time of his career, Eminem is nominated for album of the year for his release of Recovery, which as the four readers of this blog already know, yours truly labeled the best album of 2010. But I’m no scallywag. I know better. And as I predicted correctly in 2009 when Lil Wayne sold a billion copies of Tha Carter III and was the most popular person on the planet, voters no lika da rap music. Only once in the show’s history has a rap album won album of the year and that came in 2004 when Outkast took home the top award for Speakerboxxx/The Love Below. But let’s be real earnest with ourselves, Outkast are from a different planet. Their material has so many other genres of music plugged into their albums including R&B, Jazz, Funk, Rock, among others. Remember “Hey Ya!”? Yeah, my grandmother likes that song. Since 1991, only 11 rap albums have been nominated for best album of the year. And leave it to the Grammys to nominate none other than MC Hammer’s Please Hammer Don’t Hurt Em album in 1991. I’m not kidding, look it up. I don’t think I have to tell you that that one didn’t win. These are the type of clowns we’re dealing with when talkin Grammys. Anyway, although Eminem far and away deserves to win the top award of the night, I don’t think it will happen. 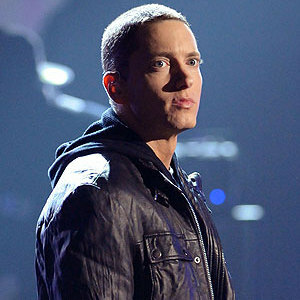 The only reason it may happen this year, as opposed to the other years that he was nominated for best album (not since 2003) is he is now not just a hip-hop heavy-weight, but a pop culture icon who had a great success story in the early 2000s, fell off for years and came back with arguably the best album of the year. Voters do love a good comeback story, a tale of redemption. He probably didn’t get much respect in 2001 and 2003 when he was nominated because he was still considered a new kid on the block and possibly, just a flash in the pan. If I were a betting man, which I’m clearly not as I still haven’t recovered from a Las Vegas trip I took 10 months ago (well, I guess that would make me a betting man, just not a good one,) I’d honestly say the award for album of the year will either go to The Arcade Fire for The Suburbs or Lady Antebellum for Need You Now. I say this not because I think those two had the best albums of the year (because, they didn’t, nor do I like either one) but rather, The Grammys always go with a safe bet. And what’s more safe than a country rock band or an indie rock band. Hey, if The Arcade Fire win, it’s a win for Canada, a win for the indie rock scene and a win for the underdog. If Lady Antebellum win, it’d be the fourth country affiliated album to win best album of the year in the past five years. I have a better chance of winning than Katy Perry and Lady Gaga, is still, well, Lady Gaga. If either of those two win, I’ll be using my time machine to fast forward to my funeral. "Jeopardy!" is a favorite among the night staff at The News-Herald, so we're getting pretty excited for what is coming next week. Feb. 14, 15 and 16, an IBM computer named Watson will compete on the game show against top champions Ken Jennings and Brad Rutter. Maybe this makes us uber nerds, but how cool is that!?!?!? A showdown between Jennings and Rutter would already be must-see (nerd) TV. Throw in a computer that could handily beat both of them? We are so there. This computer will be used for entertainment, but the implications beyond that are immeasurable. Imagine the hours of research time that could be saved by having a computer do the dirty work. Maybe you would still need an expert to review important information, but a computer could find what you need more quickly than humanly possible. We are totally on Team Watson, and Executive Editor Tricia Ambrose has said she might be on Team Brad (she hasn't confirmed this recently, so we won't hold her to that). Fellow copy editor Robin Palmer said she is rooting for Ken. Who would you like to see win? Click here to read the complete article about the upcoming episodes. Just when you thought Christina Aguilera’s career couldn’t get any worse, she goes and messes up the words to the National Anthem prior to the Super Bowl. It’s OK Christina, I doubt anyone noticed aside from the 1.6 billion people across the world watching the biggest television event in history. Not that I care, but if anyone is in need of a career revival, it’s Xtina, as the kids called her in 2002...back when she was relevant. Her last album, released this summer (Bionic...more like moronic), was poorly received by critics, accusing her of just straight stealing from Lady Gaga. It also marked the worst selling album of her career. In addition, she’s been a trainwreck since her divorce and has become a staple in tabloid magazines reporting about her hard-partying lifestyle. I won’t even mention Burlesque, her alleged acting debut in the film that was released in the Fall that no one saw. Speaking of falling, I promise this is the last time I spend more than three minutes talking about Aguilera. However, Aguilera’s miscue of the National Anthem pales in comparison to what the Black Eyed Peas did to my ears for 20 minutes during Sunday’s halftime show. My God, that was truly a monumentally horrid experience. Janet Jackson’s “wardrobe malfunction” all of a sudden doesn’t seem so bad now, does it? And what about Slash? Has he aged since 1986? And enough with that hat, does it ever come off? Does he ever replace it? The only slash I should have seen on that stage during the halftime show was the Black Eyed Peas getting slashed off it. At the very least, Slash could have done us all a favor, taken his guitar and started beating the members of the Black Eyed Peas - Will.I.Am, Fergie and uhh, those other two - senselessly. Lately, there has been a lot of talk about an NFL lockout. After seeing the Super Bowl halftime show over the past few years, that may not seem like such a bad idea. You can check in to Heinen's on Foursquare or Facebook, but have you ever checked in to a TV show you were watching? Well, now you can, with GetGlue. Capitalizing on the popular social media sites I mentioned above, this particular website allows users to check in to entertainment they enjoy. Instead of checking in to a movie theater where you're trying to catch up on this year's Oscar contenders, you can simply say you're watching that movie--no need to let anybody know where you're seeing "Black Swan" or "The King's Speech." Listening to the leaked Bright Eyes album News-Herald staff writer Nick Carrabine blogged about? You can check in on GetGlue to see who else is listening, and see comments and reviews by other fans. 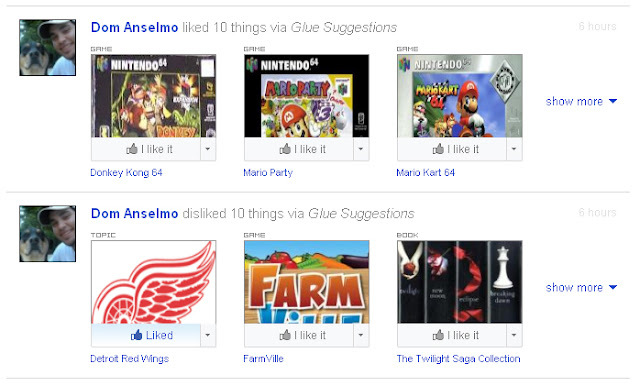 Users on GetGlue can check in to books, television shows, movies, video games or even topics they're thinking about. You can like artists, celebrities, sports teams or other random things (for example, I liked YouTube and rubik's cube). You can even dislike things (I've disliked LeBron). GetGlue offers categories for you to like in order to build a taste profile for recommendations. As you continue to like things, GetGlue offers helpful suggestions for other things to like. Glue has suggested "We Are Marshall," "Divine Secrets of the Ya-Ya Sisterhood" and "The Rookie" because I liked "The Blind Side." Not so sure about that second one, folks--although it's probably because Sandra Bullock is in it. As some users continue to like and revue things, they can become the "guru" of a topic--kind of like being a mayor in Foursquare--which allows them to offer suggestions to other users who like their topic. I liked The Cure, and a music guru has suggested Robert Smith, Siouxsie and the Banshees and The Glove. 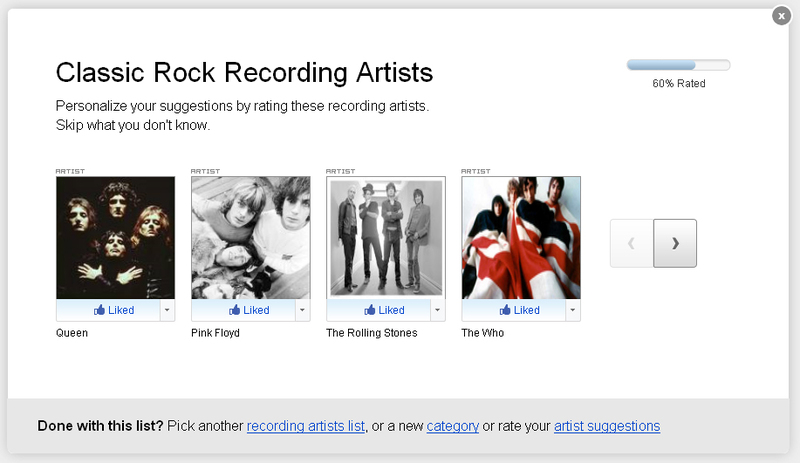 I'm not terribly familiar with any of these artists, so it might be worth checking these out. Users can sign up with Facebook or Twitter accounts and be automatically connected to friends on either platform who use GetGlue. When you subscribe to other users, you can see things they like or have checked in to and get recommendations for new things to read, watch or otherwise enjoy. As you progress through the site, you are awarded stickers for things like liking a lot of movies, or checking in to something after 3 a.m. You can even get a fist bump sticker for sharing common interests with other users. That one is a good way to find other people who like things you like, which could lead to discovering new and interesting entertainment suggestions. 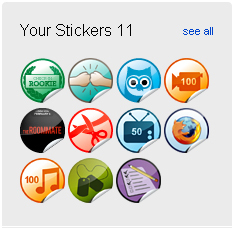 Once you get 20 stickers, you can even order them from GetGlue to receive physical copies of your stickers in the mail. I have 11 stickers so far--only 9 more to go! I joined GetGlue earlier this week, and so far I've found it an interesting way to see what some of my friends are reading or watching. So far it's brought some interesting suggestions--like those bands glue suggested for me--and I'm having fun collecting some more stickers. GetGlue is available through the good, old-fashioned internet, and also has mobile apps for various platforms like smartphones or the iPad so you can check in to entertainment while on the go. There's also a browser toolbar available for download that lets you like things while on other entertainment websites. Watching the last episode of Glee on Hulu? You can check in to the show without navigating away. Sound like something you'd like? Give it a try! Feel free to subscribe to me at DCapriato. Think you know who will take home Oscar at this year's Academy Awards? Enter our contest for your chance to win this comfortable recliner loveseat. Click here to enter the contest. Picks must be in by 11:59 p.m. Feb. 26. In honor of today, I sought out some clips from the Bill Murray movie by the same name. Feel free to watch them over, and over, and over again. Normally the only time I write blogs in this section is when an album is released but from now on, I'm going to try and include a weekly round-up of music or movies or some sort of entertainment. This week's entertainment round-up will focus on what is new in music over the past seven days. 1.) Lupe Fiasco, whose long awaited LASERS album will finally be released on March 8, released the album’s second single, the controversial, “Words I Never Said,” which is a verbal attack on everything from the government to corporate America. The single, which can be heard here premiered Tuesday at midnight (caution: song contains a few swear words and some rather strong opinions). After hearing the first two singles, I really think Lupe is putting together another near classic album. 2.) 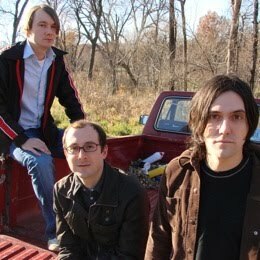 On Monday, the entire new Bright Eyes album, The People’s Key, was leaked onto the internet and can be streamed live here. I clicked on a few songs and have enjoyed what I heard so far, but I don’t want to listen anymore because I don’t like ruining the element of surprise before I (gulp) purchase and listen to an album. I realize that is now considered old-fashioned. 3.) Spin.com had two very good exclusives this week. The first feature was on the new Panic! at the Disco album, Vices and Virtues, along with an interview with lead singer, Brendon Urie and a second feature on Thursday’s new album, which I inexplicably left off my most anticipated album blog a few weeks ago. Thursday’s lead singer Geoff Rickly said the new album’s focus was “to make something really beautiful, that has power in a different way than just being heavy,” and he is pretty frank with fans telling them that the new record won’t be for everybody.